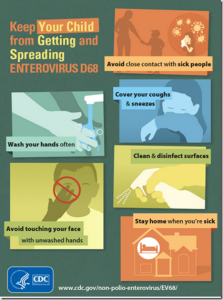 Since 2014, some media and radio personalities have attributed the increase in Enterovirus D68 (EV-D68) cases in the US to immigrant children from Central America. The latest was a segment last week on the Savage Nation with Michael Savage, a very popular talk radio program. What is EV-D68 and is it an imported disease from immigrant children? I look at this in this latest installment in the Infectious Disease News Brief.